In my previous post, I designed and 3D printed a high voltage connector for my Bertan 225-20R high voltage power supply. The silicone high voltage wire I ordered had finally arrived so I made a couple of cables using the connectors I printed. 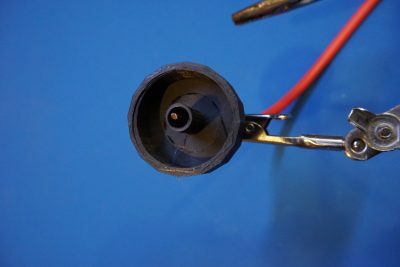 A few of my viewers had questioned the suitability of using PLA as printing material in high voltage applications so I decided to measure the dielectric breakdown voltage of PLA and gather some real-world data. However, in another paper, the measured breakdown voltage was significantly higher at more than 60 kV/mm. To test the dielectric strength of the PLA, I constructed the following simple setup: a large single sided PCB is used as the ground plane and a smooth conductor (here I used the casing of a speaker as the conductor surface which happened to be of the right size and shape) is used as the high voltage electrode. The material under-test is then sandwiched between the ground plan and the high voltage electrode. 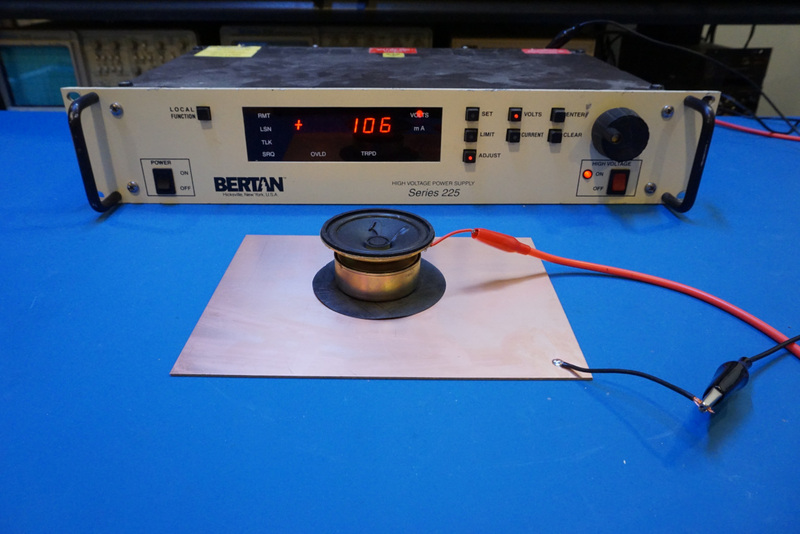 The weight of the speaker proved to be beneficial as it weighs down the material under-test to ensure the medium is uniformly flat. 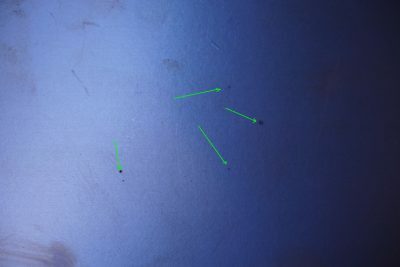 Prior to testing the dielectric strength of the PLA, I tested the dielectric strength of a piece of standard letter-sized printer paper and got a result of roughly 11 kV/mm consistently over multiple trials. This number is slightly less than what was suggested in the literature I could find. But this difference could be dependent on the exact type of paper being used and could also be influenced by the moisture content of the paper. Nevertheless, the 11 kV/mm figure can be used as a baseline for testing the dielectric breakdown voltage of PLA and other materials. 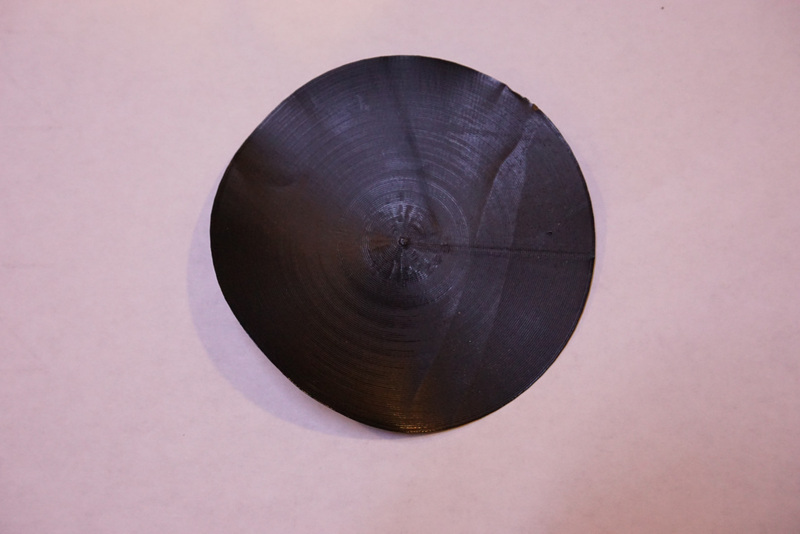 I then 3D printed an 80 mm disc with a nominal thickness of 0.18 mm. Due to the variation in print quality, the actual thickness of the printed disc measured somewhere between 0.18 and 0.24 depending on the location it was measured at. This inconsistency is likely to have an impact on the actual breakdown voltage measurement which we should keep in mind. Also, it is difficult to get a perfectly flat print given the property of the material. The disc used can be seen in the picture below. Using the setup mentioned earlier, the output voltage from the Bertan 225-20R was gradually increased until consistent breakdown occurred. At which point the voltage was recorded. The breakdown occurred when the voltage was increased to 11,400V and this puts the dielectric breakdown voltage at 63.3 kV/mm which is significantly higher than the 33 kV figure cited in one of the articles mentioned earlier, but is consistent with the result from the second paper referenced earlier. 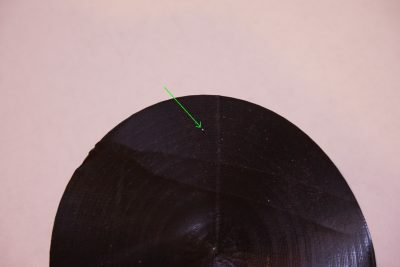 Given that the thickness of the material is not uniform, it is likely that there is some air gap between the PLA disc and the ground plane which would inflate the actual measured figure. But even counting the thickest part of the print (0.24 mm), the dielectric strength is still at an impressive 47.5 kV/mm. Of course I would expect actual dielectric breakdown voltage for PLA to vary somewhat among different brands of filaments since the purity and the exact chemical composition might be slightly different. Nevertheless, this experiment result suggests that PLA is a rather good insulation material with a dielectric strength comparable to that of waxed paper (40-60 kV/mm) and thus is suitable for using in high voltage applications. It is suggested that once temperature reaches its glass transition temperature (~65 &degree;C), the dielectric breakdown voltage will drop accordingly (see the second paper linked above). 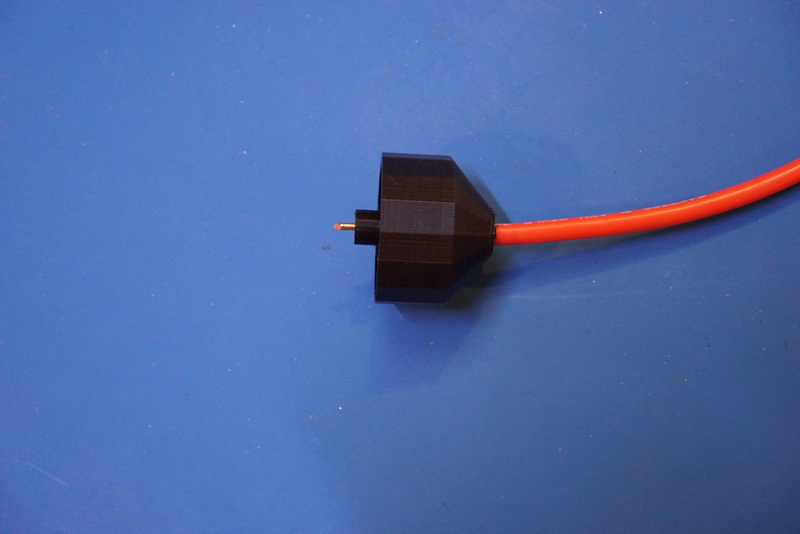 This characteristic limits the use of 3D printed HV connectors made with PLA to room temperature applications only. In the video below, I showed how to make an connector cable for the Bertan 225-20R power supply using my 3D printed connector and also tested the dielectric breakdown voltage of paper and the PLA material used for making the HV connector.